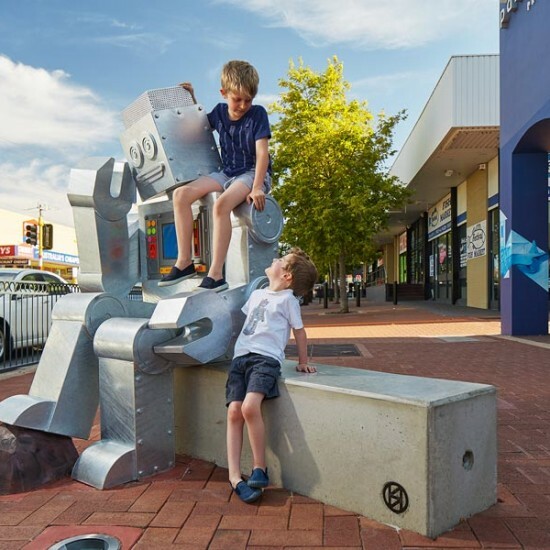 The City of Vincent contracted APPARATUS to procure and project manage Robotopia, a public artwork for the North Perth Town Centre, an urban village close to the Perth city centre. 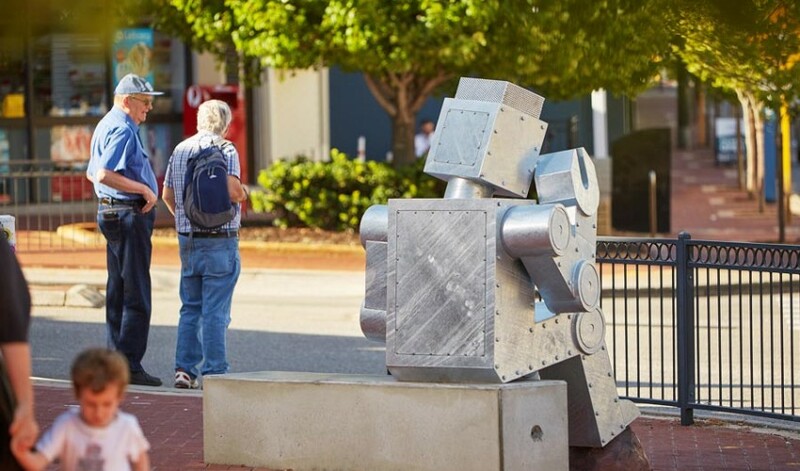 The inner-city site had specific issues to be congisant of, which included being aware of the need not to impinge on pedestrian passageways and access, the high volume of vehicular traffic, the strong retail commercial environment and the warren of underground services. 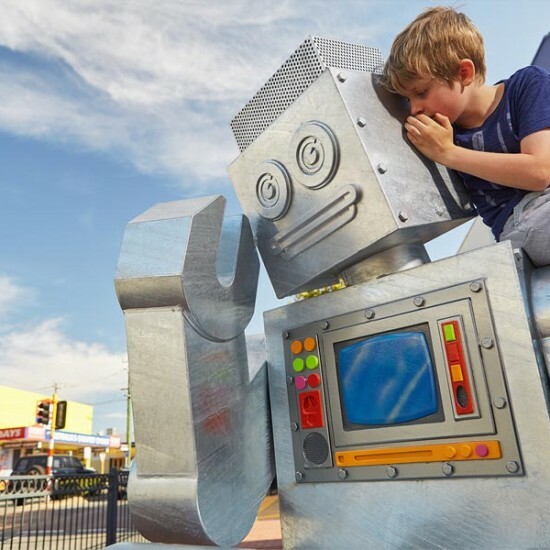 The resulting artwork Robotopia by artist SI Hummerston is a series of four brightly coloured and finely detailed ‘retro-bots’ located along the Fitzgerald Street spine, designed to structure and punctuate the pedestrian experience and add a playful element to the streetscape.